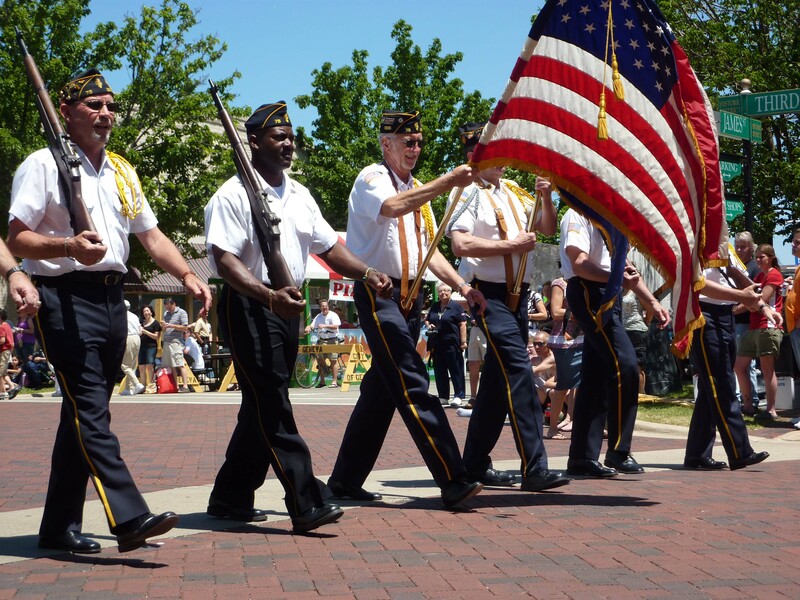 This year marks the 64th annual Geneva Swedish Days. 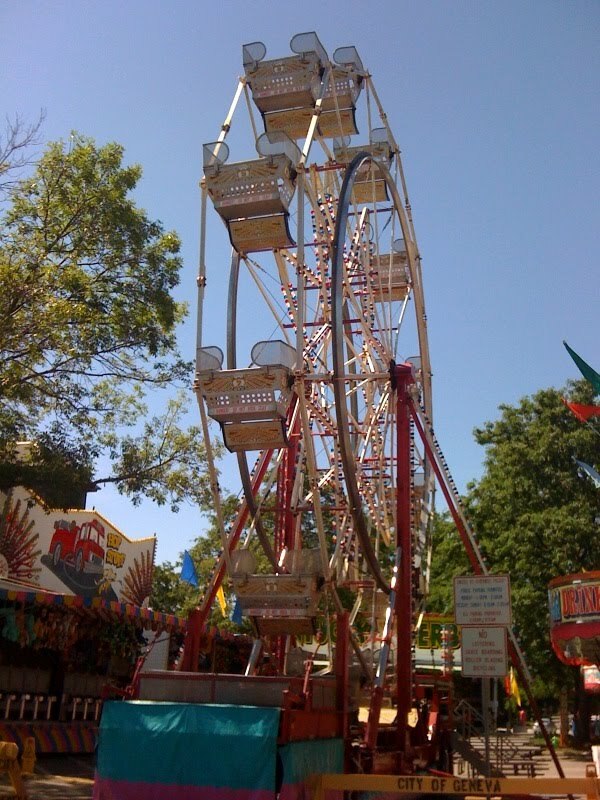 As my last post mentioned Swedish Days is different from Swedish Day which is one of the oldest summer festivals held in Illinois and in its 103rd year. Geneva Swedish Days 2013 is presented by Cadence Health and, as always, organized by the Geneva Chamber of Commerce. Swedish Days 2013 starts on June 18 and ends on Sunday June 23. Most of this years events take place on or near Third Street. In years past there has been a craft show located on Hamilton Street but that was discontinued several years ago. Geneva Swedish Days is free to attend there are no entry tickets and no pay to use parking lots for the festival. If you are driving into Geneva you will want to avoid parking in the lots associated with Dodson Place and the lot for the train station. The owners of Dodson Place will have an employee watching you park and keeping track how long your car is parked there. They will have it towed if they suspect you are parking for the Festival and not to shop at one of the stores or restaurants at Dodson Place. During the week the parking for the train station garage is a pay lot primarily for commuters but in the evening and over the weekends it is open to the public for free. There are a lot of places to park on the streets in and around Geneva, some streets will be marked to only allow parking on one side so pay attention to that to avoid a ticket and/or tow. The Carnival is held in the parking lot behind the old court house. At the carnival you will find the typical summer festival carnival rides and games. While the festival has a whole is free to attend the Carnival is not, everything you can do there will require the purchase of tickets. The carnival is run by Windy City Amusements and I believe it has always been run by this local business. Quite possibly the best day to take the whole family is on Friday. Friday’s at Swedish Days is Kids’ Day, the entertainment and special crafts or events are geared to kids and family involvement. Radio Disney takes over the central stage entertainment between 11am-12pm and then again at 3pm with a concert staring the season four winner of Radio Disney’s Next Big Thing contest. There will be a short kid’s day parade at 12:00 on Friday, if you are creative and your child wants to enter in to the parade check-in is at the library between 11-11:30. There are several categories in which your child can enter, fun with duct tape, spaced out, decorated bikes & trikes, Swedish costumes, and fictional friends. The parade route starts at James St, by the library, then goes South on Third St and ends at Campbell St. Starting At 3pm and ending at 7 at Stone Creek Mini Golf in Wheeler Park will have discounted kids admission to golf and starting at 9pm and going until midnight kids ages 13 and up can play mini golf in the dark. They will provide glow in the dark golf balls for this special event, no registration is required. The rest of the weekend is rather typical Swedish Days events. Concerts on the lawn in the afternoon, concerts on the main stage in the evening. This year there will be a zip line starting at James and Third St. on Saturday from 4-8pm. Sweden Vast all day Saturday and Sunday on N4th St between Hamilton and State street. At Sweden Vast they are going to raise a maypole on Saturday at 11:30 am and there will be a host of traditional Swedish entertainment, foods, arts, and crafts both days. If you are looking for the traditional Swedish events or if you missed Swedish Day be sure to check out Sweden Vast Saturday or Sunday. The final, and arguably the best, event is the grand parade on Sunday. The parade starts at 1pm on Sunday. The parade route starts on State Street at Anderson Road turns onto Third Street and ends at the Train Station. Along this parade route there are tons of places to sit to view it. If you sit at the start, though, you get to see it first and get done with it early. While great, this parade is very rather long. If you have young kids, they might get a bit bored with it so bring things to keep them occupied just in case or be prepared to leave early. The year our kids were 4 and 6 they got bored with the parade about 2/3 of the way through and we ended up leaving before it was over. Geneva Swedish Days 2013 appears to be just a great as festivals in years past. I really like the addition of the Sweden Vast to tie Swedish Days with the Swedish heritage of the region, something that I think has been inconsistent in years past. While they try to make it entertaining enough to draw us out all week, I don’t think it is absolutely necessary to go there every day of the festival, or be there all day every day. Plan ahead and hit the events you are interested in seeing and I guarantee you will have a great time. For more info and a copy of this years brochure check out the Geneva Chamber of Commerce’s website, link provided above.